Whether the user is a researcher, hunter, and a wildlife filmer, capturing and recording video of animals and their daily habitat with a very high-resolution of images and videos is highly appreciated. Exposing yourself outdoor waiting to achieve a perfect shot for a film or documentation is such a time-consuming and burden for all the wildlife filmers. Trail cameras can operate without the supervision of a human; it is designed to do the work for every filmer, and it does the surveillance while the user is not around in the area. Every camera has different features and specs, but it has one purpose, to capture and record bright and high-quality images. The list below is the best long-range game trail camera which provides the user inconvenience, durability, and reliability. The best long-range game trail camera offers the user to capture subjects and footage up to 80 feet away from the tree stand. Choosing the best long-range game trail camera may be hard to every user, but the list below will give you hints through their features on what to pick among all of them. It will provide the readers with the idea of the best long-range game trail camera that they could use for filming and capture footage. The wide detection range and the flash range of every camera would tell why the researchers and filmers need to choose the best long-range game trail camera for their projects. Different from the other long-range cameras with 10MP, this Cuddeback Long Range Trail Camera would provide you large, high-quality images and videos with its 20MP feature. In this camera, the user opts to set the image quality to a resolution that will not take too much of the memory. With a trigger speed of 0.25 second, Cuddeback long range trial camera is one of the fastest among other long-range cameras, and it can take up to five images each time wildlife is detected. The time-lapse feature of this camera continually takes footage even if it is far from the range of IR sensor, and in this feature, it can also capture a wildlife access the detection zone. Setting the time-lapse mode can increase the scope of the camera. This long-range camera can last up to a year with 8AA batteries. To make the camera last longer, the user should ensure that the camera is not taking too much of images. With the camera’s detection mode feature, the user can appreciate a detection range of 100 feet far from the treestand. Cuddeback Long Range Trail Camera takes a picture within 1/4 seconds and recovers about one second for the next shot. Given that this camera offers time-lapse and detection zone mode, it is one of the best cameras for coverage. Can operate in day and night. The user can choose between time-lapse or detection zone. With compact and discreet design. Battery life may reduce if the user chooses adverse settings. Lens has been familiar to fog. Moultrie Game Spy Trail Camera only offers a five-megapixel low-glow infrared resolution with less than 1.5 seconds of trigger speed. 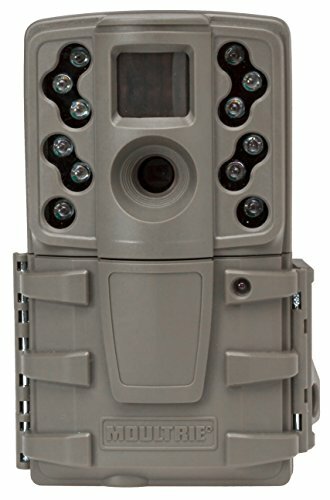 This long-range trail camera can record or capture footage from a distance with its 40 feet detection range and can capture bright color images with 50 feet flash range feature, and 850NM IR LED Infrared. Recording documentation at nighttime may be a burden to every researcher or hunter, but with this Moultrie game spy trail camera, the user could enjoy filming at night with its long-range nighttime infrared feature. This long-range trail camera is famous for its reliability, easy-to-use features, and exceptional image quality. Capturing three consecutive images in one-second delay between each photo is caused by its multi-shot mode feature that gives convenience to the researcher or filmers. 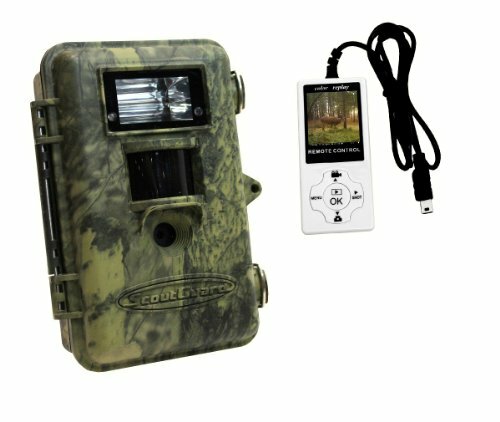 This trail camera can record or capture images and videos with 640×480 video resolution. Pictures captured includes the moon phase, time, date, and camera ID stamp. Offering 32GB SD memory card slot, Moultrie game spy trail camera can store up to 16000 images and more on an 8AA cell battery that lasts up to months or year. This camera also offers a picture delay of 10 seconds, 30 seconds, 1 minute, and 5 minutes. Image quality depends on the user whether he/she choose from three image quality types; high, low, and video. Can store many images and videos. Instances of camera thieves are high because it is not password protected. To brag an advancement in image quality and trigger speed, Moultrie M-888 Long Range Trail Camera is equipped with 14 megapixels high resolution that captures daylight pictures and with the 100 feet infrared LED flash feature that can record elusive footage at night. With this camera’s quick start menu feature, the user can enjoy up to 2.5 times more of the storage space. This camera can capture videos faster than ever with the 0.7 seconds trigger speed. Alternating between unleashed shots and 3-photo burst option is caused by its modes; time-lapse and multi-shot modes, while infrared and time-lapse automation is caused by the hybrid mode of this camera and balancing decreased motion blur is by the freeze or extended flash function. The Moultrie M-888 Long Range Trail Camera is competent in providing a wireless happening in connection with the Moultrie Mobile Field Modem that proves reliability. This camera allows the user to view the captured images and recorded videos on the computer or mobile device. This M-series camera is compatible with SD memory card for up to 32GB of memory space. Once the memory is full, a camera’s feature called Moultrie’s Managed Memory function will delete the old photos and videos once the memory is full to give space to the new footage. With 8AA batteries offered by this camera, it can capture up to 17,000 images. This camera is also compatible with any Moultrie 12V DC external power source. Concealed and tough exterior for outdoor uses. Has battery and power versatility. Speedy and discreet image capture for the faster trigger speed. The detection and recording have a shorter delay. Not that secure because it is not password protected. There is no sure of a crystal clear captures during nighttime. With 12 megapixels high resolution, 32 LEDs, and 850NM nighttime infrared technology, this Moultrie A-20 Long Range Trail Camera illuminates a footage up to 50 feet away from total darkness and take lively color during the day with a long-range infrared flash at night. This camera also features a weather-resistant exterior, LCD screen, and easy-to-use interface. Capturing the pictures with image details like date, time, temperature, moon phase, and camera identification is caused by Info strip Imprint Data that keep tabs on each wildlife footage. Each time a motion is detected, the 12MP offers a clear photo with less than 1 second of trigger speed that captures a move quickly. The user can control the image quality and storage by choosing from low or high-resolution settings. The user can custom-made the filming plan by choosing between multi-shot and single-shot modes feature of the camera. 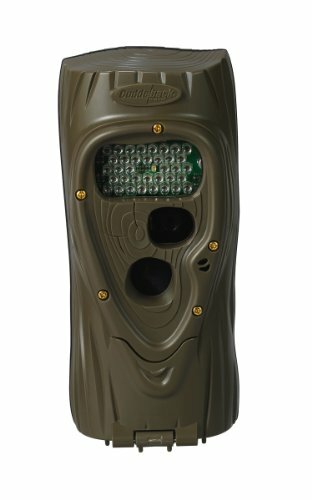 The reliability of this long-range trail camera is proven with its wireless mobile compatibility which gives a wireless connection to Moultrie Mobile Modem MV1 and makes it easy to view the images and videos on the computer or mobile phones. To ensure its security and dependability, the Moultrie A-20 has a sturdy plastic, and weatherproof exterior for the convenience of every user with a Python lock compatible clasp for the camera to be protected. With 8AA battery, the camera can capture up to 16,000 images, and it is consistent with SD memory card for 32GB storage space or higher than that. Has weatherproof and sturdy plastic exterior for protection. Exceptional photo and video quality. Operated by an 8AA Alkaline battery, this long-range camera’s life lasts up to eight months or a year. With 8 megapixels of image resolution, it can capture and record high-quality and explicit pictures and videos. It can detect any movement for up to 85 feet from the tree stand or the location of the camera with 73 feet of flash range. 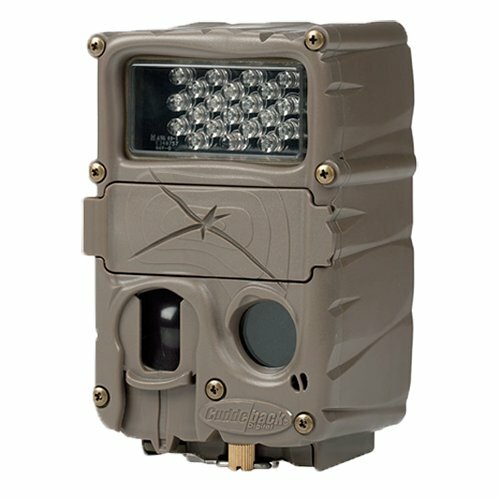 Bright and beautiful captured images during the day and nighttime are caused by the white flash feature of this ScoutGuard Long Range Trail Camera. It has a color LCD screen viewer with excellent reception and daytime VGA video option that is very useful for all the hunters and wildlife filmers’ documentation. This camera produces impressive pictures especially at night with its no motion blur at night feature. Providing a storage space of 32GB for SD/SDHC memory cards, scoutguard long-range trail camera can produce 6,000 high-quality pictures in lithium. In setting up the camera, the user may check the remote controller that has the color viewer and can view the scene to when the user does the setup. For the camera’s protection, the user may secure or put it in a box for the animals not to ruin or destroy it while filming. The white flash feature of the camera only works in low light or darkness. Small size, easy to hide and easy to use. More extended detection and flash range. With no motion blur at night feature. Flash produces sounds that may distract the animals. Not a password protected device. 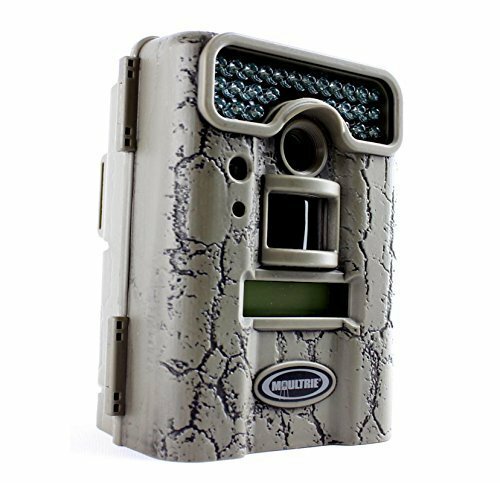 Moultrie M-550 Long Range Trail Camera is operated with 50 feet detection range and a 1.5 seconds trigger speed with 39 degrees detection angle that can capture sharper and more precise images. This camera offers a quick start setting based on the customer feedback which provides researchers and hunters a no-hassle setup. With the camera’s motion freeze technology, it allows users to select between extended flash range and reduced motion blur depending on their preference that reduces nighttime recording clarity with 7-megapixel resolution. There are two camera modes; the burst mode where it takes three rapid-succession images after a single motion trigger and the triggered multi-shot mode where it only makes one image per motion trigger. These modes will still be chosen by the user depending on their preference. The robust door-and-latch system and weather resistance of the camera gives critical components from harsh condition while providing the users an easy-to-use device which can withstand any elements. 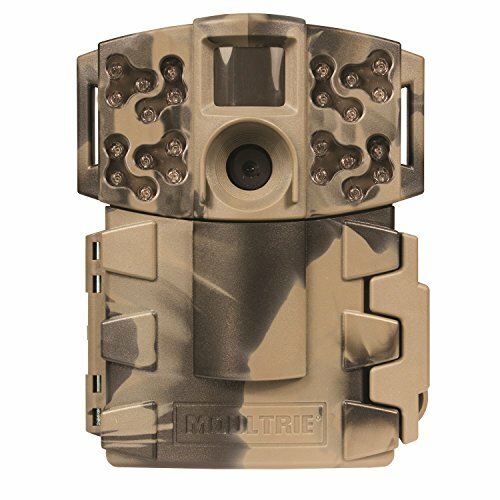 With the Moultrie M-550 camouflage pattern and a new LED grid array, this camera helps break up its appearance. Moultrie M-550 Long Range Trail Camera has a latest lens design capable of higher resolution pictures and more bright color than its forerunner products. As the new enhanced IR filter is in action, the camera can provide longer lifespan and reliability that excels the captured photo of daytime and nighttime. With more storage space, the camera can produce 19,000 images from 8AA batteries. 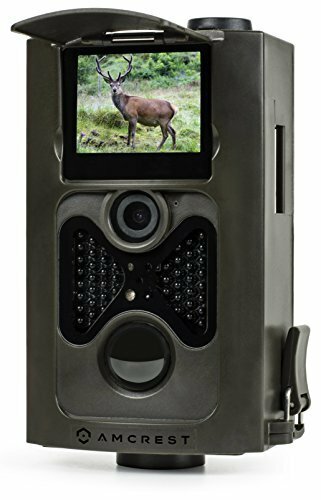 With a high resolution of 720P HD video and 8MP resolution, Amcrest ATC-801 Long Range Trail Camera can capture and record high-quality, excellent pictures and videos. Amcrest ATC-801 has a long night vision range of up to 65 feet with automatic motion-sensing which form a vital component of security for the camera and a high-sensitivity motion detection with LED night vision. With the trigger speed of 0.7 seconds, it can capture from single, three, seven, and up to nine pictures per motion detection and this is the burst shot mode feature of the camera. Unlike other long-range trail cameras, Amcrest only offers a standby period of three months 8AA battery supply and ample storage capacity of 32GB for SD card memory. Amcrest also provides a feature of 100 degrees PIR field of view which is from this camera is vast. The camera’s TV mode can be set to NTSC or PAL with the file format of JPEG for images and AVI for video recordings. The researchers or hunters may choose a record length from 10 seconds, 30 seconds, 60 seconds, and 90 seconds with the delay timer of 5-30 seconds and 1-30 minutes. Every user of this camera can take advantage of its 2″ LCD screen display playback, view, and also delete the images and videos on the spot. The user may also choose camera mode, multi-shot preference, video length, photo size, video size, delay, and timer. High-resolution of 720P HD video. The camera has only less standby period. Talking about durability, this Bushnell Trophy Camera is designed to be weatherproof, and users do not have to worry about rain. It rates the temperature range between -5 to 140 degrees Fahrenheit, so durability is not a problem in using this camera in extreme areas. The 8-megapixel night vision with 32 LED flash enables the camera to produce bright and beautiful pictures and videos. 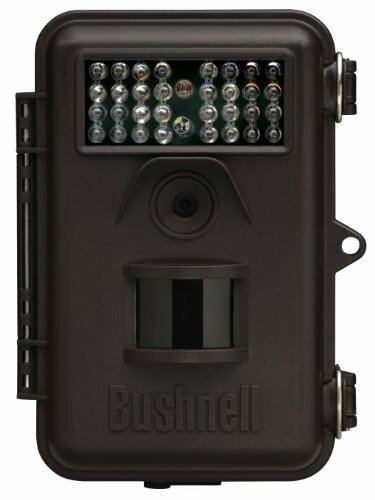 Bushnell Trophy Cam offers 45 feet PIR motion activated sensor and flash range. If the user prefers to preset automatic image capture intervals, field scan time-lapse technology is the best feature for it; it also provides long-range observation of the hunting ground and a more extensive coverage area. It captures video up to 60 seconds with audio and is compatible with 32GB SD memory card. For the convenience of every researcher and hunter, the camera is designed to be adjustable so the user can set it to 3, 5, or 8 megapixels. The 8-megapixel can produce the streaking scene to higher resolution with the low light and fast moving critters. Bushnell Trophy Cam offers a video size of 640×480 or 320×240 at 30 frames per second. This camera allows the user to monitor or keep track of the areas that are outside the PIR sensor without disturbing the live trigger. It can produce one to three images per trigger with the one-second trigger speed feature. With invisible IR flash range up to 45 feet. Provides PIR with three sensitivity levels. Extended standby period of one year. With field scan time-lapse mode. Lighting conditions can confuse the sensor. Streaking occurs in low light with 5 or 8 megapixels. Equipped with 5 megapixels infrared and 36 high-power infrared LEDs that provide 60 feet flash range, Cuddeback Attack Long Range Trail Camera could give the researchers or filmers first-class and exquisite pictures and videos for documentation from day until night. The super-fast trigger speed of 1/4 second could catch any wild animals or objects as fast as 20 feet per second. The centered subject technology is one of the features of this camera that assure the users that animals or the subject centered in the image. Another function that takes colored photos and videos during daytime and nighttime is the smart color image technology. Mounting this long-range camera more comfortable than the other cameras is caused by genius mount system which is a built-in system of the camera that gives convenience to every user. Capturing 30-second clips at 24 fps is by the Cuddeback Attack’s guard duty mode that takes five pictures per minute all day. With 60MB internal memory, Cuddeback Attack would still take images without any memory card, but there is always a memory card slot for SD cards and a battery space that requires 4-D cell batteries. With the four season battery life, this camera can take over 10,000 images on a set of batteries for a year. To monitor a stand site or the area of the documentation, guard duty feature automatically captures a photograph every 12 seconds during daylight hours. This camera can also take pictures while recording videos. Camera has four season battery life. Extended battery life with no security password. Not applicable for the rainy season. 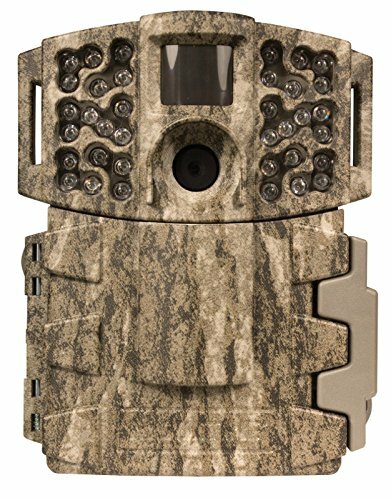 Moultrie Game Spy D55-IRXT Long Range Trail Camera has 5 megapixels of image resolution that produces full-color day pictures and a black and white capture during nighttime with a selection of low, medium, and high picture resolution in the settings. For videos, it has high and low-resolution settings. Images produced were stamped with time, moon phase, temperature, and date information. This M-series could capture pictures with 1.7 seconds trigger speed and a recovery time of 8 seconds. A 26 IR LEDs flash with 50 feet of range and 45 feet of detection range, it could give every researcher and filmers more than what they ever need in the documentation. This trail camera would still take photos when a subject or game is detected. Moultrie D55-IRXT offers two video resolutions, 3 picture resolution with a picture delay of 15 seconds to 60 minutes. Another feature of the camera that can take up to three pictures per second is powered by fast fire continuous shooting mode. With plot camera mode, the camera can take pictures at specified intervals and can combine it to make a video while in hybrid mode, the camera can operate in plot camera mode during daytime and trail camera mode during nighttime. It is an external power compatible and powered by 6-C cell batteries with waterproof casing and mounting strap. The storage space is supported by 32GB SD memory card. 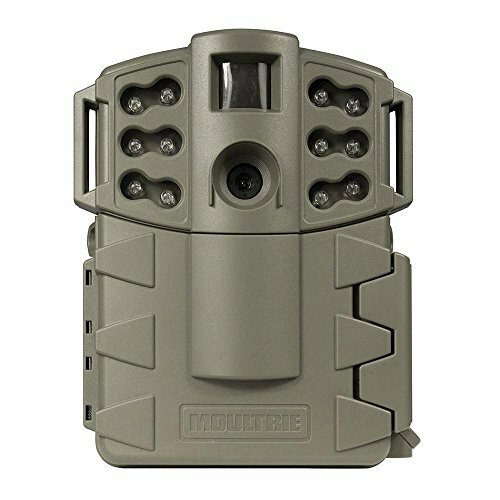 Moultrie Game Spy captures a video mode of 640×480 AVI up to 30 seconds at night. Easy to use and is programmed. With weatherproof casing and mounting strap for the rainy season. Trigger speed is slower than other cameras.